As I said before Brunei is separated into two parts by Malaysia. The mainland part is on the west, where the capital and most of the population lives. 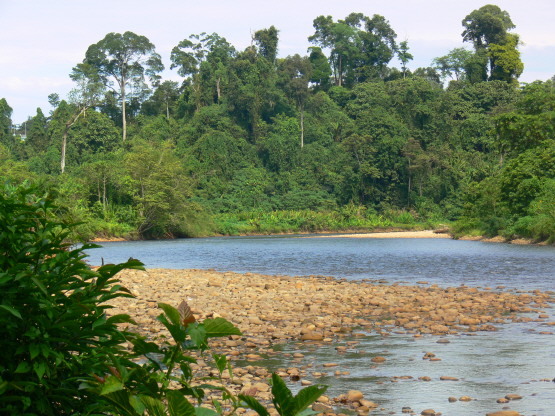 The other section on the east is called Temburong, and is mostly made up of indigenous people and rainforest. 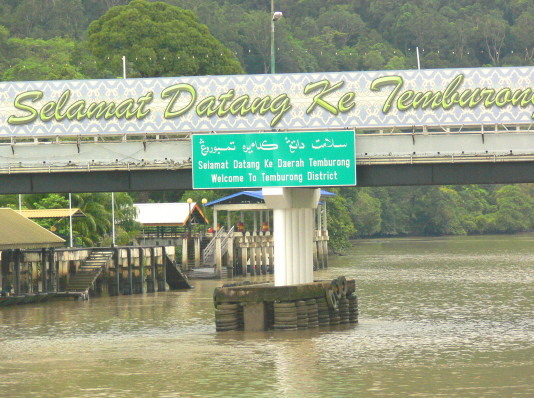 It is of course possible to drive from mainland Brunei to Temburong, but because you have to go through Malaysia this makes it necessary for you to go through the border control twice and ends up taking several hours. The easiest way is to use a water taxi which only takes about 45 minutes. On the left is the entrance to Temburong district after taking the 45 minute boat ride. On the right is one of the smaller rivers in the province. 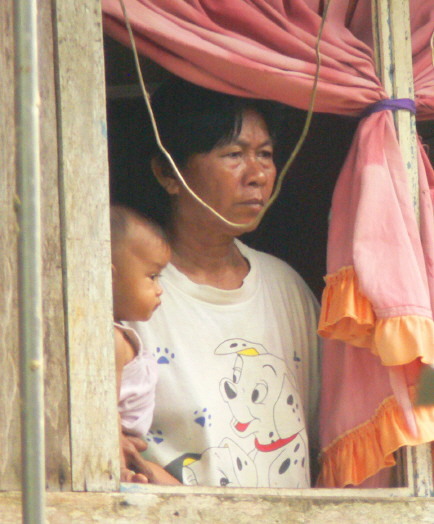 Most of the people living in Temburong stay in a type of jungle shack called long houses. On the left you can see two of them found in this district. On the right is a woman and her baby appearing at the window of a long house. Even though these houses are small and the people make their life by hunting and fishing, some still use modern technology such as vehicles and a few even have satellite TV. Most who visit Temburong province go to Ulu Temburong National Park. This national park is made up of virgin rainforests, meaning it has never been deforested. 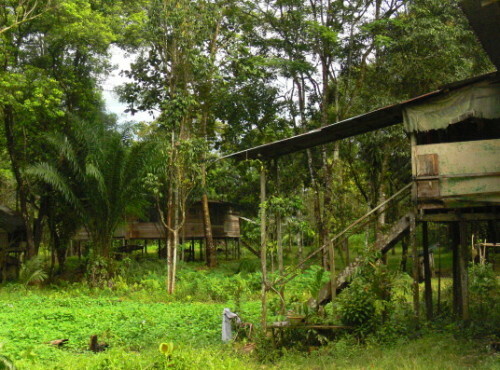 The national park has several places to stay at overnight and some good trails through the forest. 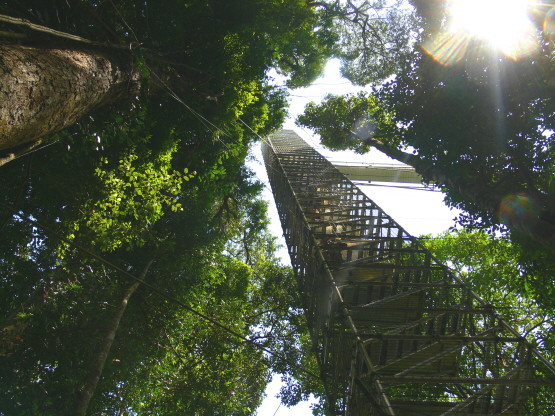 Above are two structures built in the forest, the first is a huge tower with a walkway that puts you well above the canopy. 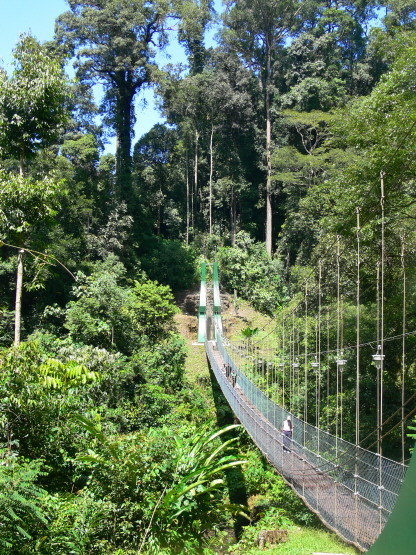 The right is a suspension bridge that is used to cross high above a river. 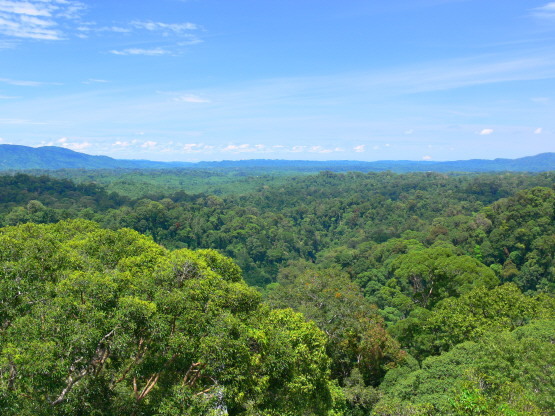 Once you climb the tower you’ll get a great view of the rainforest. You’ll also see birds and plant species that live in the canopy which you normally wouldn’t be able to spot on the ground; the strange plant growing off the tree on the right was maybe a 100 feet off the ground. On the upper left is what looks like two leaves laying on top of each other. I would have kept on hiking and not even paid them any attention if one of the leaves hadn’t gotten up and started running around. 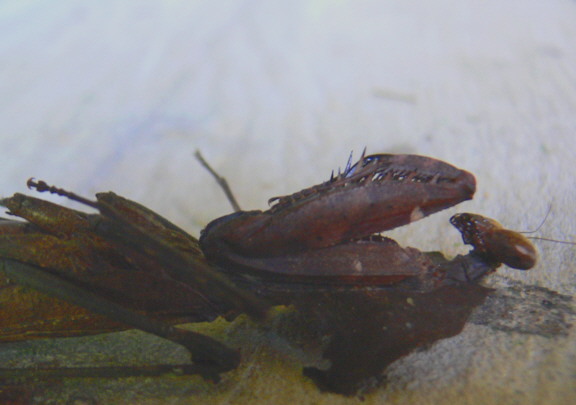 Even after looking at it closely it still seemed like just a leaf, but when it finally it rolled over on its back and I saw it was a strange species of a praying mantis. 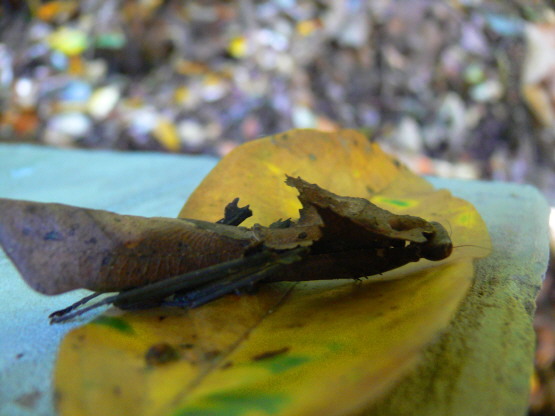 I’ve seen many praying mantises before but never one that had such great camouflage. 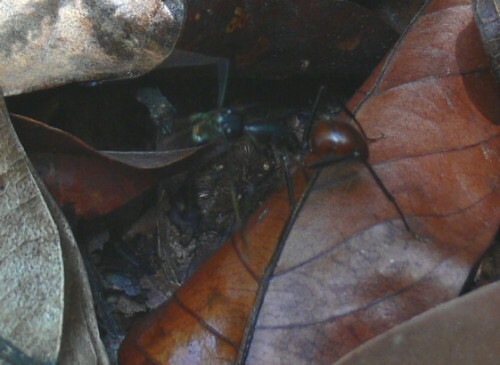 The ant on the left is one of the biggest I’ve ever seen, second only to bullet ants that I saw in Costa Rica. In Temburong I saw other strange animals and insects as well. 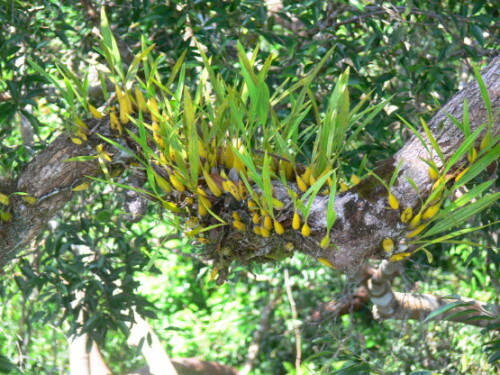 I have nicknamed this place the flying rainforest, because many animals like snakes and frogs are able to jump from trees and glide through the air. Seeing the flying snake would have been a real treat. The flying snakes body is so thin it can actually create an airfoil and help it float or glide to another tree. I did see a gliding animal from a distance, and was told it was probably a flying squirrel. 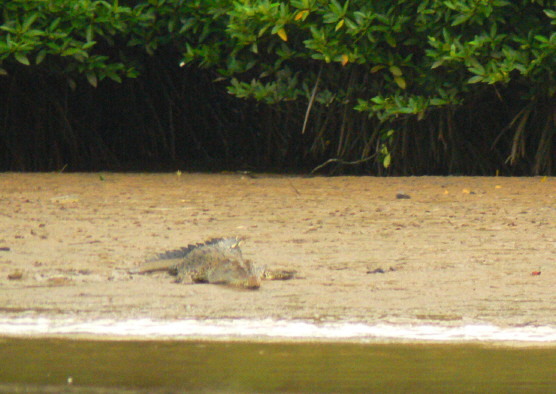 Many large species of reptiles live in the rainforests of Borneo as well. On the left is a large crocodile on the banks of the river as we crossed to Temburong. Unfortunately we passed by it in a speed boat so I wasn’t able to get a clear shot. 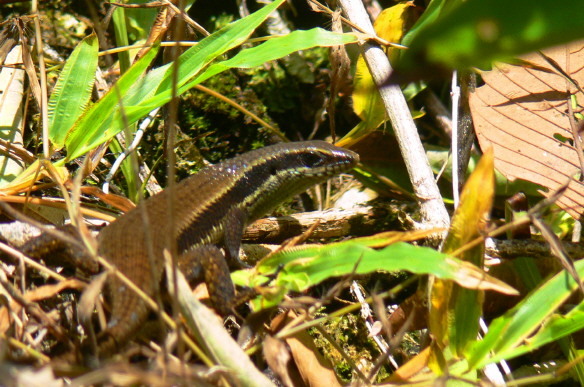 Above is a large skink from the rainforest, I seem to see this species of skink all over the world. 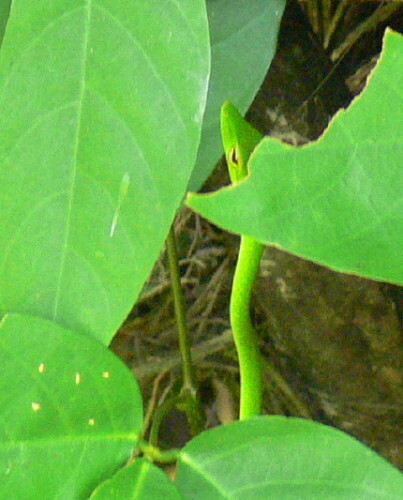 I’ve looked at many pictures of the Asian vine snake growing up as a kid. I found this one across the path I was on but it quickly darted into the forest and blended in with the foliage around it. I was lucky enough to get the picture on the left of its head sticking out behind a leaf. 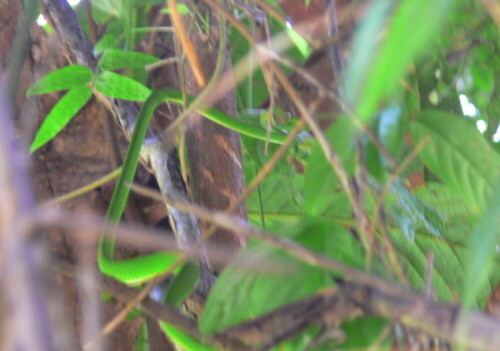 The snake quickly climbed a tree and disappeared into the thick vegetation as seen on the right. I’m not sure how rare these snakes are, but its always amazing to see photos of an exotic animal your whole life and then suddenly find one out in the wild.